Helmet cams are amazing at getting a first person perspective on any situation, you're literally able to see what they see. So how about attaching a little helmet camera to a falcon? Yep, you get to see what it's like to fly (surprisingly not shaky!) and see what it's like to hunt and kill (unsurprisingly messy). 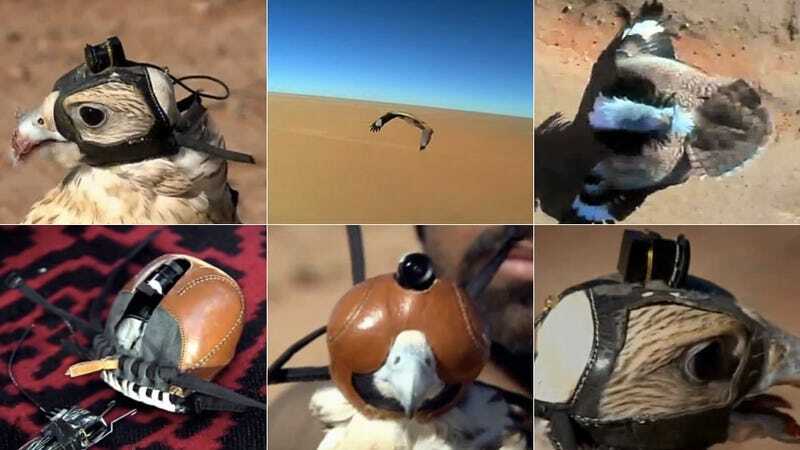 PetaPixel says that falconers in Abu Dhabi created this mini helmet cam specifically for hunting falcons and it's a revealing look at the life of one of nature's most majestic creatures. These killer birds can fly and glide with more grace and control than I can do anything. And when they attack, they go balls out.